Special: July 28-Aug 4...$200 off! located in a private BEACHFRONT community. *Washer/Dryer, central A/C, ceiling fans. *2 TVs with cable (HBO), DVD. *2 bathrooms with hair dryers. from March 11 to Oct 31). *Sorry, no smoking, no pets please! *Elevators with luggage carts available. stairs at the pool side). 2 pools (one heated), Jacuzzi, 2 tennis courts, basketball goal, fitness room, shuffleboard, clubhouse, outside BBQ grills, luggage carts. Private beach with on site beach service and boat rentals. Golf, recreation and amusement parks, Water park, Gulfarium, Morgan's Family Entertainment Center, Upscale Silver Sands Outlet Mall is just 2 miles east, Destin Commons Life Center is 2 miles to the west. Several excellent restaurants within walking distance. 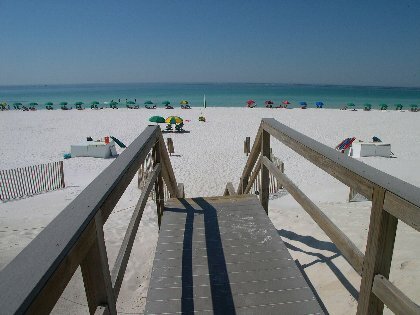 The sand is white, the water is clear...this is Destin at it's best! Fully equipped gourmet kitchen-new granite countertops! March 7, 2017 Reviewer: Val K.
My family and I spent a week in this beautiful condo in December. It is our new home away from home. There is everything you can think of- beach toys,board games and books. The kitchen is well stocked and prepared for cooking. It was very very clean and comfortable. Our vacation was absolutely carefree. My favorite part was the breathtaking view from the balcony, which I enjoyed every morning with my coffee and every evening with a glass of wine. My children and I watched the dolphins playing in the water. The owners were very friendly, helpful and kind and we felt like family. Overall it was a vacation we will remember!! !We recommend this condo to everyone and we can't wait to be back!!!! March 7, 2017 Reviewer: Deborah S.
Enjoyed the property. The unit was well stocked with cooking equipment including a small crock pot. The furniture, king size bed all very comfortable. Unit is nicely decorated in soothing colors for a relaxing atmosphere. lovely view of ocean and people walking by. Easy to clean. Would stay again. Suggest that the unit be stocked with the special cleaner designed for the ceramic cooktop. Needed some cabinet space (1 shelf) for food supply storage. My fiance and I just spent a perfect romantic week in Destin, enjoying the calmness of the beach in December, long walks, and a much warmer weather compared to the Northeast! Danka's condo was the perfect home away from home: great renovation (the tiles look really good, Danka! ), well-appointed kitchen (we loved making some meals on our own), comfortable bed and pillows, and what an incredible view to wake up to every morning! We loved having our coffee and breakfast on the balcony and listening to the waves. We'll be back next year. I have rented this unit from every year since 2008. This has been my favorite vacation spot for many years either in October or December. The owners go out of their way to make everything perfect and the vacation time to be special. Every detail is taken care of. When I arrived everything was perfect and the new bed is great for my bad back. My first night there I got to see again that beautiful sunset from the balcony overlooking the Ocean. The balcony is perfect for both sunsets and seeing and hearing the waves. The owners do something every year to upgrade this unit and it has made everything prettier and more comfortable. I was too late in the year but all the way through October one great feature is the free beach chair and umbrella set up. That sets Marvilla apart from a lot of places I have stayed at. I have been going to this region since I was 19 years old and am now 67 and this is my favorite spot and my favorite owners to work with. If you rent from them they quickly become your friends. I highly recommend it. The condo was updated recently with new marble counters and new cabinets in both kitchen and baths and this year new tile all over. The great views, ability to walk to restaurants and owners that really care and want the vacation to be great and special all add up to a really nice experience. As always I very much appreciate it. I was not disappointed. The maid service is top of the line and everything was perfect!! I keep going back to this vacation rental because it is my all time favorite. Had. A. Blast! As we have stayed a couple of times before, we were aware of events which always seem to be "just down the road". It's much like coming home every time we walk through the door. Highly recommended!! We enjoyed staying at the 2br/2ba condo this fall. Its in a great location on the edge of Destin. The umbrella and chair set up on the beach is perfect and with two pools on the grounds you can get all the sun you want. The gated community makes you feel safe and the Bed in the master suite was the topping on the cake. What a great place !!! We felt right at home. I don't know what else we could have wanted. Perfect view of the pool and ocean, from the balcony. The place was spotless. The kitchen provided everything you need for preparing a meal. I guess our only complaint is the week went by too fast. weather in Nov. was great. My husband and I recently rented the 1+br, 2-ba Maravilla Resort condo from the Venkovs. Their condo is exactly as described and the Venkov's are so easy to work with. There were no surprises whatsover, and who wants surprises while on vacation? 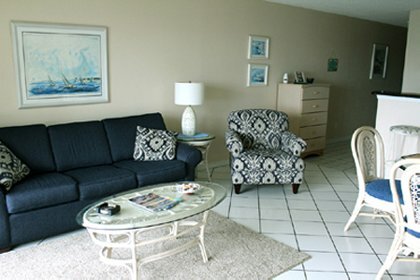 We were so comfortable there and the condo is truly fully-equipped and well maintained as is the entire resort. Location, location, location! This condo is in the perfect place as it is close to everything you could possibly need, want, and see yet it felt much less populated than the other areas along this long, beautiful beach. The view from the deck is amazing, ocean and sky as far as you can see. The private beach, with snow-white sand the texture of powder, is unlike any we have ever seen or felt and is just steps away from the condo. Our goal is to vacation at the Venkovs' condo every year. I brought sand home with us to put in two glass containers--one for home and one for the office. The sand serves as a reminder that in less than a year we will be contacting the Venkovs to rent their lovely condo for another glorious week. Great condo with direct view of both pool and ocean. 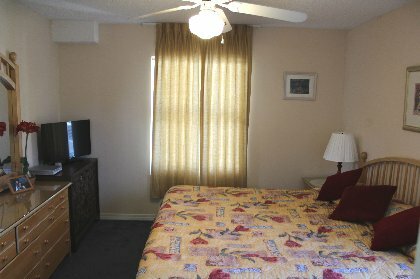 Spacious open living/dining area and king bed in bedroom. Already made reservations for another week in 2013. Thank you for allowing us to stay in your condo. Maravilla condo #1314 very well equipped and bright and cheery. owner super to deal with - lots of accurate instructions - everything was the way we had hoped it would be - great location - very close to gorgeous beach, and nice heated clean pool, two great tennis courts - very close to golf range and course - very happy with this condo - also very clean. Wow! Thank you so much for a wonderful week in your condo. We had the absolute best time - we had only ever experienced the Texas coast and it does not hold a candle to the beauty of the Emerald Coast and the white beaches of Destin. I sometimes had to pinch myself on waking up and seeing the gorgeous view every morning from the balcony. The kids had the best time ever, saw so much sea life and had a great time collecting hermit crabs and snorkeling. The beach service worked out great and was a real treat - all staff polite and helpful. We will definitely consider coming back! We spent the week of Aug 20-27 and had a wonderful time. The condo was great, it had everything we needed and then some. The owners are very nice and easy to work with. Everything was exactly as advertised. The condo is in an excellent location with a beautiful beach. Our thanks again for a wonderful time. My family and I were at Maravilla 8/13-8/20 this year. We were TOTALLY pleased with the unit as well as the complex in general. It is perfectly located, the beach is CLEAN and easy to access, the pools and other water features are great! We plan to return again to the same place and same unit next year. We have been here before and do not feel we ever want to leave when our vacation is over. I cannot think of anything negative about this place! 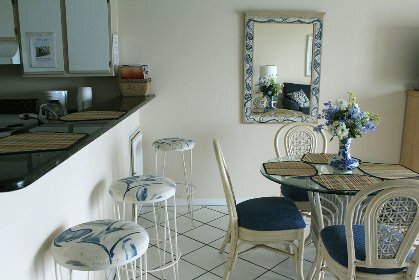 It is quiet, private, and very easy to get around to all the area's restaurants, shopping, and water parks! I hope any one who is looking for the PERFECT location, PLEASE CONSIDER Maravilla! We had a great time, weather was great, location was great too. Glad to see that tourism is back in Destin. Condo was perfect size for us and would come back again. Our stay for a week in April 2011 was wonderful. The condo was very comfortable and the view was great. My mother, daughter,and I had a great vacation enjoying the beach, food, and shopping. This condo is in a perfect location for all three. The walking/biking path was a nice plus. The beach is beautiful. We used the beach service every day; it was excellent. We stayed in your 1 plus bedroom condo from January 13 to March 5,2011. Even though the weather was not the greatest the first few weeks the last 3 were absolutely gorgeous. The condo was very comfortable and the view of the gulf was awesome. There is so much to do in the area and the restaurants are wonderful too. Thank you for your generous Southern hospitality. We stayed in Danka's 1 bedroom/2 bathroom condo the week of 8/28/10-9/4/10. The condo was just as described and was perfect for us! It was clean, had a great view and was very close walk to the beach. The weather was awesome and there was absolutely NO OIL!! Danka was a pleasure to work with and we would highly recommend this condo! My family and I had a wonderful time at your place. The beach was beautiful (not a drop of oil in sight...in fact the water was spectacular!) and your condo was great! Very cozy and convenient. We'll definitely be back! Thanks for a wonderful vacation! 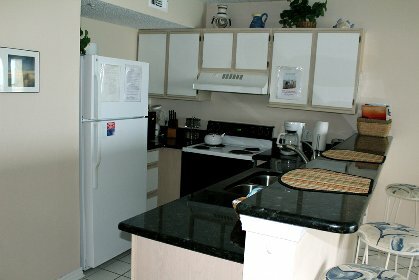 We recently stayed in the 1br/2bath condo (June 5-12, 2010). It was perfect for our family of 4 -plenty of room. The condo has a great view of the beach, easy access to the beach & pool and is in a great location to many of the local attractions. We were very pleased with everything and would stay here again if we vacation in Destin. I would highly recommend this condo, the price is right, good location and Danka was honest/trustworthy to deal with. Thanks for the great stay in your condo the past week and allowing my family to enjoy their first trip to the beach in Destin, FL!! It was a wonderful trip and we certainly enjoyed all the amenities in the condo. We would love to re-book it again sometime!! Thanks so much for allowing us to stay in your condo. We had wonderful weather and the beaches were magnificient. The view of the beach and the sound of the waves from the balcony was so relaxing. We had a great time and hope to visit again soon! This condo is a great place to vacation the price is right!! The location to the beach is very good. The Destin beach is the best, we have been to other condos and beaches in the area and they were all nice but some much more expensive, and beaches not this good. Property is clean, well maintained. The property is secure from those not staying at location. How ever in all our traveling in the area we never felt like we were not safe, the people that live in the area were friendly and helpful. Their is much to do for family vacations good food. Just a great place to have a great time. P.S. We were their 5-2-10 to 5-9-10 and their was no sign of oil on beaches just beautiful white sand beaches. We had a wonderful week in the condo in Destin. We have been to Destin several times before and this trip has been the most fun. The weather was beautiful and the condo was very nice, clean and spacious. Danka and Chris are also very nice to deal with. This is our second time here and like the condo unit very much, it's on a corner and has a good view. When we arrived here it was very clean. The weather was not the nicest, but we managed to find things to do. Owners are very nice people to deal with. Thanks a lot Danka and Chris. My husband and I celabrated our 15 anniversary at Danka's condo. The condo was just perfect, and the folks at the Maravla complex were great. We will be back to celabrate there again.Thanks for sharing this wonderful place you have. Danka and Family-My wife and I stayed 2 weeks Oct 31-NOV 14 09 in your 1BR unit.The unit was just great. It was very clean with a great view of the ocean from the balcony over the swimming pool.The 2 baths were very nice and my wife appreciated having a good working washer and dryer in our unit.We also appreciated Maravilla being a gated community and conveniently located.Maravilla is also very nice with the 2 swimming pools, hot tub and tennis couurts. The furnished computer in the room was great to have and with the wi-fi connection and our laptop we each had a computer to use. We look forward to staying in your unit again. October 19, 2009 Reviewer: Larry Combs From: Atlanta, Ga.
Danka and Family, I loved my week in the fall at your special place - I had everything I needed, very clean and it was way beyond my expectations. The washer/dryer really helps, the new bed, and I loved the beach service and they did a super job.. I kept thinking I should tip them and I never took money to the beach. I would have asked to add a second week if there was any way I could have stayed. Destin does not have any good seafood but that is not your fault. I really appreciate your renting to me and want to come back as soon as possible. I have never stayed in a cleaner, nicer place and the view was super - thats what I went for and I got it. We so much enjoyed a full week in your condo. The beach closet full of toys, beach chairs and other beach stuff were just a plus to already beautiful condo. The complimentary beach service (umbrella and chairs) were fenomenal. It makes a difference when you come to the beach and setting is already made for you instead of having to haul charis and umbrellas every time you go to the beach - that was excellent (included in price another plus). We loved sitting on the balcony watching the ocean. Very close to all attractions, great restaurants and shops. Loved all, big A+++. We'll definitely come again in future years. My husband and I stayed in the 1br/2ba condo, we loved the location and the view. The description of the property was exactly how it was when we arrived. The balcony view of the ocean makes this property a gem! We will definately rent this property again in the future! My family of 4 stayed in the 1+br/2ba condo for a week. Great location with proximity to the beach, restaurants and shopping. Beautiful view of the ocean from the balcony. Clean and safe swim pool, ideal for kids. We were very comfortable in the clean and elegantly arranged condo and appreciated the fully furnished kitchen and a closet full of useful beach items, such as sand toys, floaties, chairs and umbrellas. We greatly enjoyed the complementary beach umbrella and two chairs being set for us every day at the beach. The beach and the water at this location were fantastic in August, gentle waives, no seaweeds or jellyfish. The best family vacation place I have ever been in the US. We stayed at the 1+br/2ba and really enjoyed our stay. The beach was beautiful and we loved the beach service. The kids loved the pool and all of the beach supplies kept in the condo. We will definitely return again and stay at one of your condos. The 1 Bedroom and 2 Bathroom is an excellent choice for couples wanting privacy, comfort, and relaxation. The Gulf-View is phenomenal. It allows one to check current beach and weather conditions before making the trip outside. The unit offers plenty of space and comfort. 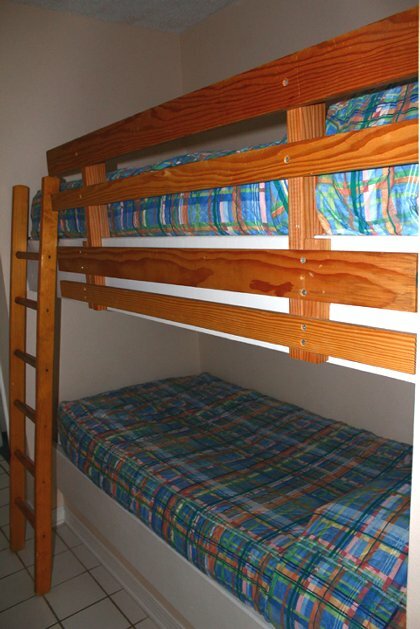 Ideally, this unit is perfect for two couples or a small family. Maravilla offered security with it's gated community. The outdoor pools were crucial when returning back from the beach. The beach is a short walk across the street. The beach service was so valuable during our stay. It allowed us to not worry about carrying too much furniture down to the beach. 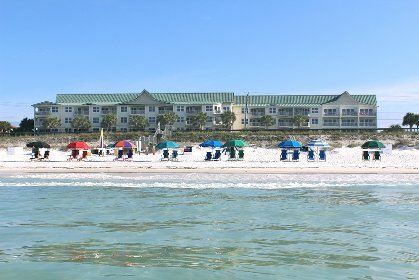 Overall, Miramar Beach is perfect for individuals wanting to lounge all week. I have recommended this unit to many friends and family already. I was truly impressed with the customer service of the Venkov family. I plan to stay again in the future. Truly, this was a trip to remember. This was our first time staying in Destin as a family. We had a blast! The condo was just right for the 4 of us and very close to everything. The view from the living room of the ocean was spectacular, and we were super close to the pool as well. We really enjoyed our stay..Thank you for sharing your home with us! The condo worked out very well, plenty of room and very convienient to the beach and the popular shopping centers and eatery's. Even though it was Spring Break the condo is very quiet. Nice place for families. Thanks again! We thank you for sharing your vacation home with us. WE stayed in the one bedroom which provided a very comfortable stay. Being an end unit, the extra windows allowed for great sunlight. The balcony afforded a great view of the pool and beach! It was a great location for walking to the beach, and for walking along the path at all times of the day, even to a few restaurants. The set up of beach chairs and umbrella was quite a plus also. You had plenty of beach 'stuff' in the closet which would be great if you had little ones or additional family members with you. The second pool at the back of the buildings was warm and a pleasure to swim in. Kitchen was well equipped, and the internet access with the computer was another nice plus. I would definitely recommend this unit to others if you are looking to stay in Destin! We stayed in the 2B/2BA condo.. had a great time.. beds very comfortable.. loved the internet access...short walk to the beach and swimming pool. Hot tub in November was very nice! Also used the charcoal grill for some great dinners.. we carried our food to the beach.. We had wonderful weather for November and hope to come back..this is a great time of year to be in Destin. Wow, What a nice condo ! Excellent Location. Danka, we felt we were borrowing a good friend's extremely well stocked and extremely well kept vacation house. We had a great time and really enjoyed the place. My Mother complimented your great taste in decoration and housewares ! Thanks a lot, we had a great time. We stayed at the 1br/2ba condo and thought it was absolutely wonderful. Danka had everything just as promised. What a view and easy access to the beach and pool!!! We will do it again. June 9, 2008 Reviewer: Liz B. My family and I stayed in Danka and Chris's condo the first week of June. It was very clean and comfortable. Danka was very nice and helpful with any questions or concerns during the reservation process. The view was awesome and it was very convienent being above the pool. The beach service is a wonderful asset. We loved being within walking distance to Pompano Joes. All other Destin resturants and shopping are a short drive away. We would reccomend this condo to anyone. 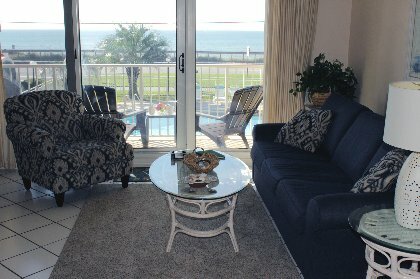 We stayed in the 1+br/2ba with a beautiful view overlooking the Gulf. The condo was nicely equipped & very comfortable, so wouldn't hesitate to stay there again. The location is excellent, being close to malls, restaurants & especially being so close to the beach. We enjoyed our afternoons using the chairs & umbrella on the beach, catching some sun!! All in all a most enjoyable week, even if the weather was a little cool!! The ocean view from the balcony was beautiful. Accomodations were good, computer was a nice touch. Terrific getaway from the cold. We stayed in the 2bd/2ba Maravilla Condo the week of September 15-22 2007. We had a fantastic time. The condo is nestled in a quiet subdivision within walking distance to the beautiful beach. White sands and crystal clear water. The condo had all the comforts of home. The computer with internet access was a plus. Maravilla was so close to everything. We visited many great restaurants and the Silver Sands Outlet Mall was Super! It was truly a great 25th anniversary trip. Did I also say that the weather was Wonderful?!! Thank you so much!! Condo was efficiently equipped with all the amenities of home. Beds were comfortable. Nice view of the gulf, a very short walk to the beach and a couple of good restaraunts are close without getting back on Hwy. 98. Great trip! We really enjoyed our stay at the 2 bedroom condo. The weather is always nice and the facilities are great. This is our 3rd or fourth stay at your condo's. We'll be returning in future years if possible. Thanks! What a wonderful place. Look forward to coming back next year. Your condo is fresh, comfortable and with a beautiful view. It was great to have a computer with internet included. Thank you! Spent our first winter in Destin (Jan/Feb). Found this condo in Maravilla on VRBO. Very nice owners, very accommodating to us. It is the best end of Destin in our opinion - condo suited us well and at one point we had four adults and two children in it and no problems. Hope to go back again in the future. Thank you very much for opening your home to us, we like it so much that we end up extending the stay. Everything was perfect. We look forward to future visits . Thanks for the use of your condo it was great. The weather was perfect. The children had the best time at the beach that they have had in a long time. The water was at it's best. I have never see it so Emerald Green and so clear. My son caught crabs and my daughter ran from them. We couldn't have a more perfect week.. Hope to visit there again soon maybe we can stay at your place again. The boogie boards were great they hadn't gotten to use those before. The condo was very well stocked (with beach items also) and the view was wonderful. the heated pool at the tennis courts was great also.oh yeah the construction was not a problem for us it seems to be mostly over and did not interfer with us at all. Staff was very friendly. The condo is very quiet to be such a large complex. Beautiful View! Stayed in the 2 bedroom last year and the 1 bedroom this year...loved both. Will definitely rent again. Thank you for a WONDERFUL week. This was our fifth trip to Destin, and Maravella was in the best location out of all the places we have stayed. We loved the "beach closet" you have in your condo, and we made use of the beach chairs and some of the play stuff. We hope to stay there again in the future! We had a great time in your condo again this year. Maravilla is in such a convenient location and has one of the nicest pools in Destin. The condo is very well equipped and has a perfect view of the ocean. We will certainly be recommending it to our friends. Thank you. Very nice time, love the weather, surf, people, computer, beds. Thanks again. Thank you for the use of your condo - we had a great time. The weather was perfect. The sand + water are so pretty. we visited Pompano Joe's twice-great food!!! We loved the condo. Thanks so much for your help and understanding (re Katrina). We will definitely be back in the spring. We enjoyed this condo so much this February. Had fun golfing with our friends who were staying in buildings 2 and 4. Thanks so much for providing this beautiful and comfortable condo. Thanks so much! We had a wonderful vacation for the month of January, we loved your place and the weather. Hi! Just wanted to let you know we had a great time in Destin. The condo was very nice. Thanks so much. We just returned from our trip to Destin, and I wanted to say thank you for the use of your condo. It was very nice and we really enjoyed its location. We've already discussed going again in the future. Thanks again for a great vacation. still had a great time and we all would definitely like to return in the future. Just a quick note to say thanks for the use of your beautiful condo in Destin-we had a wonderful time, lots of fun and family time. Thanks again - look forward to renting it in the future. We had a wonderful time. Everything was perfect. Once again I would like to thank you for making my family's X-mas holiday such a success. path/restaurants. I've been to many Florida beaches and to Hawaii last year but loved Destin beaches best of all. It was a pleasure renting from you. Thanks! Thank you so much!!! We had a great time on our honeymoon, we want to visit again!!!! IT was beautiful and the weather was wonderful the whole time!! WE JUST WANTED TO EXTEND OUR THANKS TO YOU FOR THE CONDO RENTAL. WE HAD A GREAT VACATION AND A WONDERFUL VIEW. THANK YOU FOR ALL YOUR HELP WITH THE RESERVATIONS AND MAKING OUR STAY SO WONDERFUL. We had a great time in Destin. Your condo is quite lovely. Hopefully we can do business again. I will give you guys a referal if anyone here at the office is looking to rent a condo in Destin. Thanks so much--we had a fantastic time and great weather while we were there. Thank you so much for lending us the Maravilla condo. We enjoyed our stay immensely. The condo was beautiful + perfect for our needs. We are already planning a return trip for this summer. Thank you for all of your helpful + friendly e-mails. You made our family vacation a joy! Just a short note to let you know that we really enjoyed our stay at you villa by the sea (2213). We found every very clean and furnished very well. The view of the pool and the gulf was great. Also we were able to attend the Destin Sea Food Fest, and really enjoyed that. Thanks for everything! We had a great time in your condo last week. Thank you very much, everything was perfect. You will be hearing from us again in the future when we travel to Destin. We just wanted to let you know khow much we enjoyed our trip and we wish we were in Florida today. As usual it was very beautiful. Your condo is very nice and we tried to keep it very neat. It is in a great location and very convenient for us when we got out and about. We just love that area. We spent most of our time at the beach. We were just in Paradise. Thanks for helping our trip a great memory. Some of our friends already want some information on your condo. Just a note to let you know that we had a wonderful vacation in your condo. It was so spacious, comfortable, and conveniently located. We loved the view from the balcony! We had a great time at your condo #2213. It was a very nice place and my family thoroughly enjoyed it! I had never been there - but loved the view from the room and the white sand! We plan on making an every year vacation and look forward to renting from you. We are hooked and Maravilla was great! We had an extremely nice week at your condo. The weather was apparently nicer than expected-it ranged from 73 to 77 degrees throuhout the week and was almost always sunny. We left some notes about restaurants in your guest book and also rented bikes one day at Blue Mountain Beach. Thank you for accomodating us on such short notice. Hi, We had an absolutely wonderful time. My husband and I both agreed it was the best vacation we have ever had. The condo was really nice. We are already making plans to come back next year. Just wanted to let you know we had a wonderful week and truly enjoyed staying at Maravilla. Thanks again! Everything was great. You have very lovely condo! The view and location is perfect. And the condo very well kept. This is to let you know we are very happy and if I plan again to go to Destin, your condo is on my first list. Thank you and hope to do business with you again. I just wanted to drop a note to you and tell you that we enjoyed our vacation at your condo so much. It was a great location and so private compared to most of the rentals we've seen. Thanks again! We had a wonderfully relaxing days in your beautiful condo. Perfectly situated with a gorgeous view...everything was so neat and tidy along that stretch of beach. We'll never go to Panama City again. We look forward to visiting with you again in the future. Thanks again for the last minute accomodations. It was the best Christmas ever. Just wanted to drop a sincere note of thanks for allowing us to rent your condo. I must tell you that your place is really beautiful and the view was truly awesome ! Every morning me and husband enjoyed coffee on the balcony watching the sun rise over the gulf. The weather was just perfect the entire week, no rain and plenty of warm sunshine. And the water, can I tell you it was the most crystal clear we had ever seen since our past visits to Florida. We were truly amazed at the beauty of it all. This is definitely a honeymoon that will not be forgotten. We hope to one day rent from you again, perhaps on our anniversary ? Thank you again for making our honeymoon most memorable, we are truly grateful ! Just a note to let you know that we really enjoyed our week at Destin! The weather, water and beach were great and the condo was very nice. I'm sure that we will try to return again sometime! Rates subject to change. You have to be over 25 to rent at Maravilla! NO pets and NO smoking please! Deposit: $250 required upon booking and is part of the rent if paid by credit/debit card.